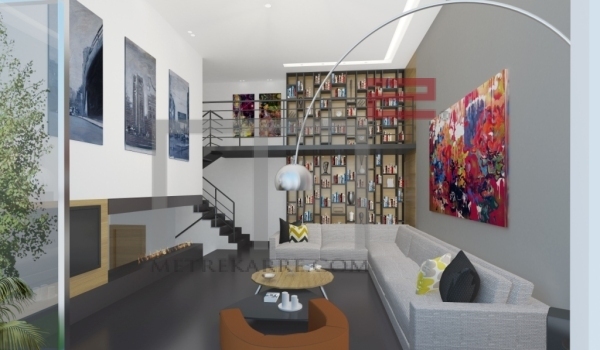 MetreKarre offers you this new residential "LOFT STYLE" project located in Prime Achrafieh area, a prime area to invest and live in. The apartment sizes range (from 127 m2 - 162 m2) with two apartments per floor. The two bedroom simplex apartments will have 3.5 meter ceilings heights, while the duplex lofts will have 4.8 m & 5.3 meter ceiling heights respectively. The apartments will be of high-end finishing throughout with gas chimneys as standard. Price attached is for a duplex loft apartment of 120 m2 on the 5th floor. Estimated completion by 2021. Other: Parking (Qty 1), cave, visitor parking and gym.